A new study has finally confirmed what most dog owners already know – that their furry little friends can get jealous. In order to get the data for their study, researchers at the University of California, San Diego asked the owners of 36 small dogs to perform some tasks. First, the dog owners had to shower a fake animatronic dog with affection, then show affection to a jack-o-lantern Halloween pail. Finally, the people had to read a children’s book aloud while ignoring their dog. While it sounds a bit strange, the researchers actually were able to take away a significant amount of data from the tests. Researchers found that around 80 percent of the dogs pushed their owners when they were cuddling the fake dog toy. Meanwhile, only about 40 percent of the dogs did that when their owners had the Halloween pail, and only 20 percent of the dogs wanted attention while their owners read aloud. On top of that, almost one quarter of the dogs acted aggressively towards the animatronic pup, barking at it and even trying to bite it. Only one assumedly needy dog acted aggressively towards the other two objects. 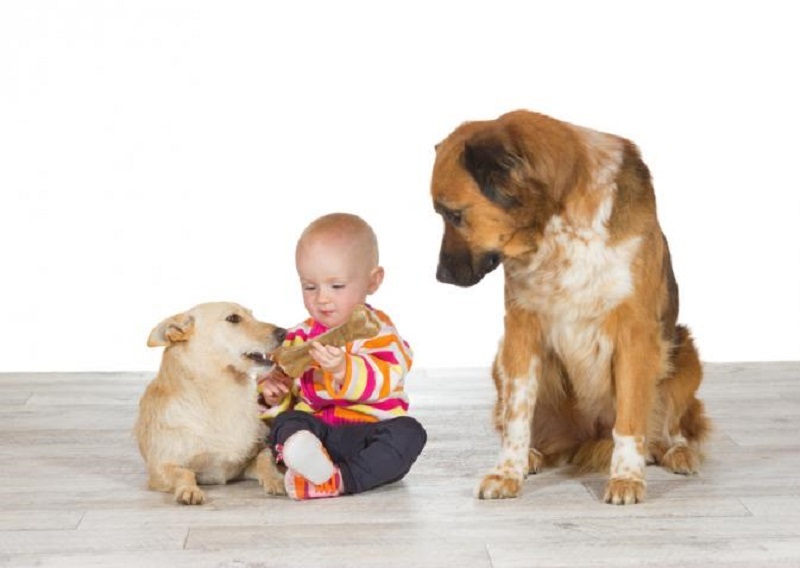 The study suggests that these jealous behaviors probably evolved from doggy siblings competing with each other for parental love and resources. As dogs became more domesticated over time, humans began to fill that parental role for the animals. “Humans, after all, have been rich resource providers over our coevolution,” the researchers wrote in the study. The study may actually have practical implications for dog owners, researchers have said. By noticing jealousy, aggression or aggressive behaviors can be prevented in a dog. The study was published in the scientific journal PLOS ONE. Anyone who loves dogs and has spent time around them knows this.